Records Information Management has a lot of working parts. The way you organize, store and retrieve business records, personnel files, and important documents can be tremendously difficult. That’s where a document management company can help you streamline your business. Companies can use document storage solutions and records management companies to free up storage space in their office, improve workflows, and safely and securely store critical and inactive files that need to be retained indefinitely. We know a lot about the Records Storage industry- but it’s hard to sum it all up in one article. Here are a few things we can recommend to get you on the right track with your paper document management program. Use these steps to help you figure out your document management needs, and help you select the right records storage company for your business. If you know what offsite records storage provider you need, or have any questions, fill out the form to the right, or give us a call at (866) 385-3706. Our experts will walk you through the whole records storage process and help you find the right provider for your company’s needs. When you’re developing a records storage program, one of the first things to consider is classifying what a record means to your business. A record is usually defined as information that is stored for a set period of time, either for regulatory, legal, or business reasons. It’s easy to determine what you need for business reasons, but what about when you need to store a file for legal or regulatory reasons? We highlight some of the reasons you should retain records here, but it’s vital to take the time to understand the laws and requirements for your industry, city, and state. Keeping this information in mind will help you determine the type of record storage or records scanning you might need. Step 2: How do you organize your records? Some records, like corporate filings, are easy to find. But what about all the secondary records that employees might have in their desks or offices? Secondary records prove to be the most problematic during litigation. Remember Erin Brokovich? She won her groundbreaking case with the help of a disgruntled employee who failed to shred the records in his care. The same fate hit the cigarette makers ten years later. Every records storage program must have a plan to account for secondary records. Digital records are also a big part of your management program. E-mail and instant messages (IMs) are also subject to record retention guidelines. Just ask Speaker Hastert about the importance of properly managing these types of records. Step 3: How long do you retain a record? Every record or file your company files or stores has specific timing attached to it for business, legal or regulatory reasons. Public companies need to understand SEC reporting and retention requirements, including the Sarbanes-Oxley Act. Department of Health and Human Services, along with several more. Don’t forget state and local regulatory agencies and law enforcement requirements that may apply to your business and your employees. Here are some of the standardized retention times that need to be maintained for every company. 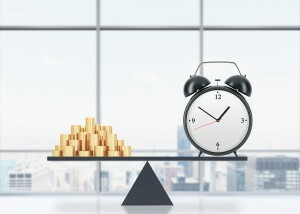 Understanding the various retention times and developing a solid records management plan minimizes ligation risk and helps you organize your workflow better. Don’t wait for your lawyer to identify important documents that should have been retained for you. You can learn more about some of the laws related to Records Management in our FAQ section. Step 4: How long does it take you to find a record? Once you have implemented and organized your business’ records, the next step is to evaluate how much time it takes to retrieve, copy, and re-file your records in the system you built. Evaluate the costs and benefits of having your records onsite. Does it make sense to have a system where you have thousands of files on hand, but only access a few hundred a week? This is where records scanning services, records storage, and backup systems are useful. They make your records easier to store, keep track of, and retrieve easily. A regularly scheduled backup will also ensure that digital information is not lost in the event of a computer crash or corrupt data. Any files that you need to retain, but not access regularly can be stored offsite. You can even store infrequently accessed records and use a document retrieval service to have them delivered to you when you need them. You should always keep records and files that you access regularly on hand, or use a scanning service to digitize them. By reducing the volume of documents at your office, you’ll be able to find things easier, streamline your workflow, and increase productivity. Step 5: How do you dispose of records that are expired or past their retention time? Once records are past their pre-determined retention time, you need to be sure that they are destroyed. Identity thieves and corporate spies thrive on companies that don’t have proper document disposal procedures in their records management plan. Confidential business information, personnel files, and any records containing personal data should be securely destroyed. If you’re retiring or selling phones, copiers, computers, hard drives, fax machines, or any other electronic equipment that might store company information, make sure that they are shredded or degaussed. Some of the most common data breaches that happen are related to improper record destruction- don’t expose your company to these unnecessary risks. Don’t dwell on the details- let our experts help with your Records Storage and Records Management! Information governance is an ever changing field as federal and state laws require more retention and faster discovery. 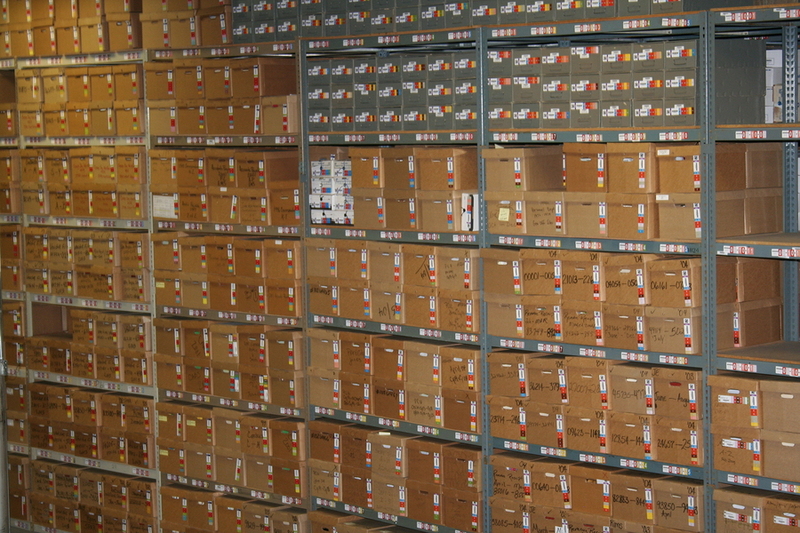 Our experts will help you maintain your records storage needs regardless of format. We can help you manage your hard-copy records, and even guide you through the transition to a paperless office. Record Nations has been providing document management solutions for over a decade. Let us help you find the right document storage solution for your business. To get started, fill out the form on the top right of this page, or give us a call at (866) 385-3706. Within minutes, you’ll have several companies in your area to choose from.